Z. L. Wang, J. H. Hao*, and H. L. W. Chan, “Down- and up-conversion photoluminescence, cathodoluminescence and paramagnetic properties of NaGdF4: Yb3+, Er3+ submicron disks assembled from primary nanocrystals”, J. Mater. Chem. 20, 3178 (2010) (Featured in Back Cover). 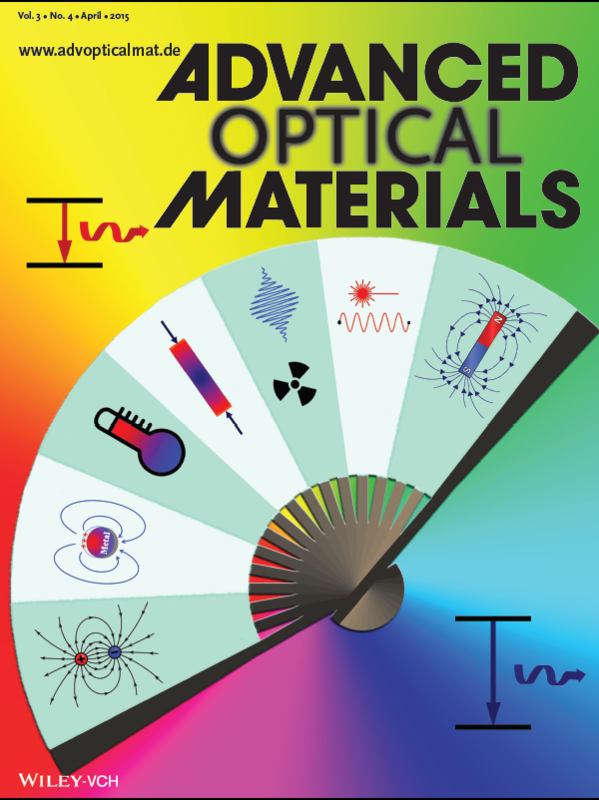 Beibei Xu, Jianhua Hao*, Shifeng Zhou, and Jianrong Qiu, “Ultra-broadband infrared luminescence of Bi-doped thin-films for integrated optics”, Optics Express 21, 18532 (2013). 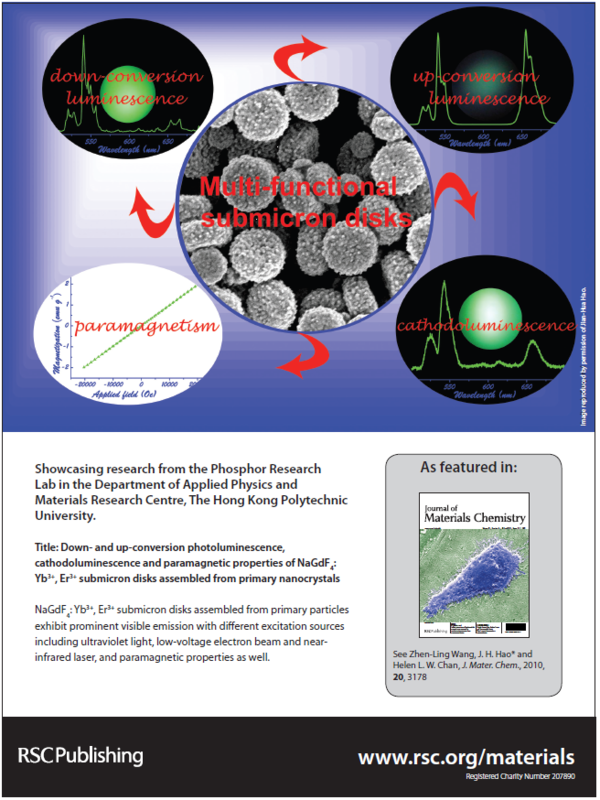 Gongxun Bai, Ming-Kiu Tsang, and Jianhua Hao*, “Tuning the luminescence of phosphors: Beyond conventional chemical method”, Adv. Opt. Mater. 3, 431 (2015). (Invited Review, Featured in Inside Front Cover). 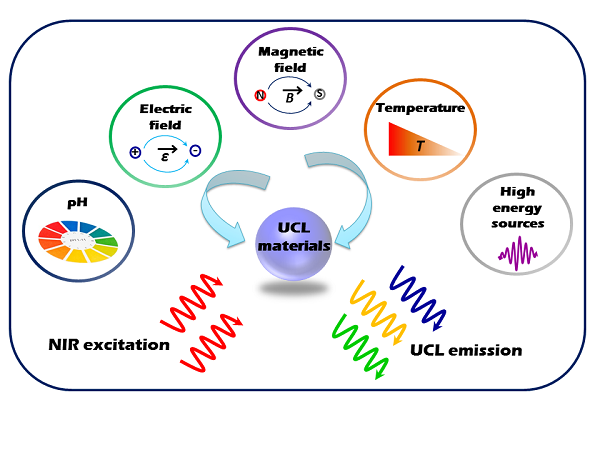 Li Chen, Man-Chung Wong, Gongxun Bai, Wenjing Jie, and Jianhua Hao*, “White and green light emissions of flexible polymer composites under electric field and multiple strains”, Nano Energy 14, 372 (2015). 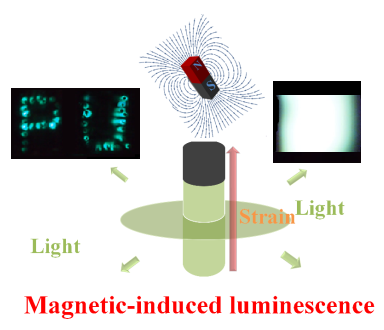 Man-Chung Wong, Li Chen, Ming-Kiu Tsang, Yang Zhang, and Jianhua Hao*, “Magnetic-induced luminescence from flexible composite laminates by coupling magnetic field to piezophotonic effect”, Adv. Mater. 27, 4488 (2015). 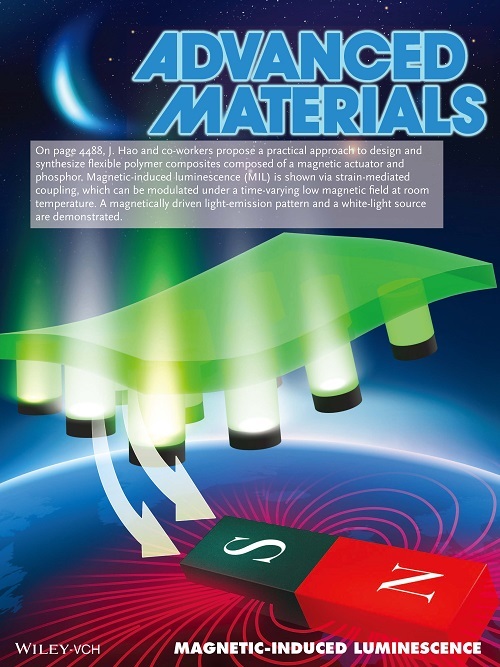 (Featured in Frontispiece, and highlighted as "Materials: Magnetic opportunities" by Chief Editor, Dr. Oliver Graydon in "News and Views", Nature Photonics, 9, 558 (2015)). 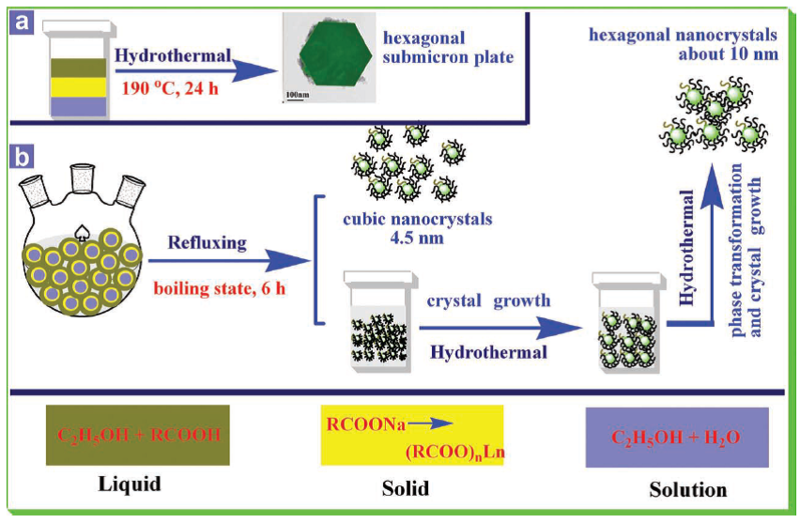 Zhen-Ling Wang, Jianhua Hao*, Helen L. W. Chan, Wing-Tak Wong, and Ka-Leung Wong, “A strategy to simultaneously realizing the cubic-to-hexagonal phase transition and controlling small size of NaYF4: Yb3+, Er3+ nanocrystals for in-vitro cell imaging”, Small 8, 1863 (2012). 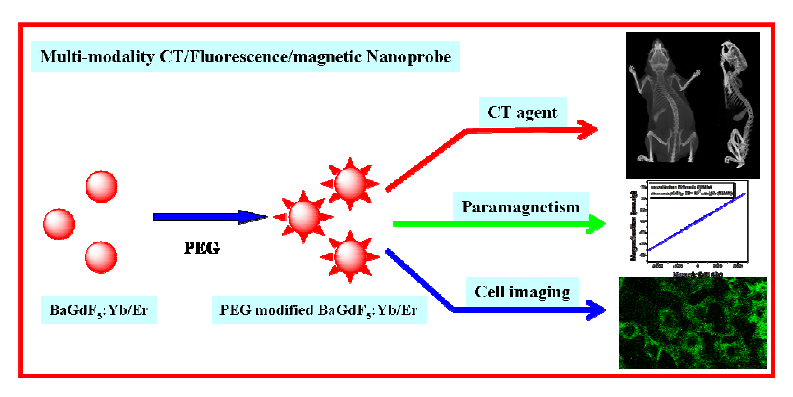 Songjun Zeng, Ming-Kiu Tsang, Chi-Fai Chan, Ka-Leung Wong, and Jianhua Hao*, “PEG modified BaGdF5: Yb/Er nanoprobes for multi-modal upconversion fluorescent, in vivo X-ray computed tomography and biomagnetic imaging”, Biomaterials, 33, 9232 (2012). Songjun Zeng*, Zhigao Yi, Wei Lu, Chao Qian, Haibo Wang, Ling Rao, Tianmei Zeng, Hongrong Liu*, Huijing Liu, Bin Fei, and Jianhua Hao*, “Simultaneous realization of phase/size manipulation, upconversion luminescence enhancement, and blood vessel imaging in multifunctional nanoprobes through transition metal Mn2+ doping”, Adv. Funct. Mater. 24, 4051 (2014). (Featured in Back Cover. Highlighted by Materials Views China: http://www.materialsviewschina.com/2014/07/xin-xing-qiang-hong-guang-fa-she-di-duo-gong-neng-na-mi-tan-zhen-di-gou-jian-ji-sheng-wu-cheng-xiang-ying-yong/). Wei Wei Ye, Ming-Kiu Tsang, Xuan Liu, Mo Yang*, and Jianhua Hao*, “Upconversion fluorescence resonance energy transfer (FRET) based biosensor for rapid and ultrasensitive detection of Avian influenza virus H7 subtype”, Small 10, 2390 (2014). (Highlighted by Materials Views: http://www.materialsviews.com/upconversion-nanoparticles-biosensors-fast-new-method-detecting-bird-flu-virus-can-save-lives/). 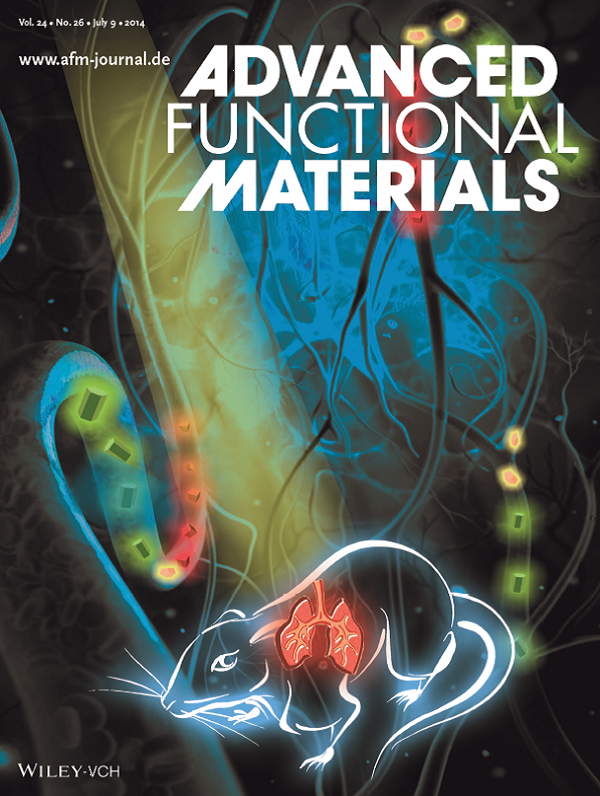 Ming-Kiu Tsang, Gongxun Bai, and Jianhua Hao*, “Stimuli responsive upconversion luminescence nanomaterials and films for various applications”, Chem. Soc. Rev. 44, 1585 (2015).